Belluna Co., a Tokyo Stock Exchange – First Section listed company, and a significant player in the global real estate industry, reiterates its commitment to forge new paths for both the local real estate and hospitality market with the confirmation of further projects in the country valued up to $ 500 million. Having recently launched the ultra-luxurious resort, Le Grand in Galle together with Asia Capital PLC, Sri Lanka’s leading investment bank, the two companies are now committed to develop the country even more. With construction of luxury condominium, 447 Luna Tower, on schedule for completion by 2020, together they are now beginning to focus on the next real estate development project – a Mixed Development Project in Colombo 01. “At the moment, we are in the planning stage for our property in Colombo 01, for which we have already invested Rs. 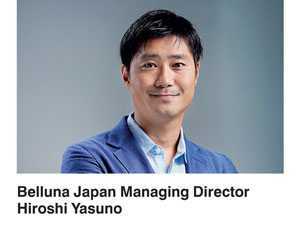 4 billion in order to acquire the land from the Urban Development Authority and hope to begin construction of this project, over the course of 2019 in order to cater to the current need the market has for urban living,” said Belluna Japan Managing Director Hiroshi Yasuno. In partnership with Asia Capital PLC, the company is also investing heavily in the hospitality sector and are planning on soon, opening a 70-key leisure property in the Maldives with leading global hospitality company, Marriot International Inc., while construction of a 300-room city hotel in Colombo has already begun. “Forming this alliance with Asia Capital PLC has been extremely beneficial for us being investors in a foreign country. Based on their reputation, history and standing in Sri Lanka, they have been able to provide us with inroads into numerous projects, all that are sound investments, while also bringing us in contact with the best local partners in order to complete the projects,” Yasuno went on to say.